Apple is working on a real television set (iTV?) that utilize the artificial intelligence agent Siri as the controller, according to a new report from The New York Times. They go so far as to say prototypes are already underway, and that “it’s not a matter of if, it’s a matter of when“, suggesting that Apple may announce the product in 2012 with a release of the TV by 2013. The NY Times mentions they first heard of plans for an Apple television a year ago, and that the project has been in some stage of development since 2007 when the iPhone and first Apple TV box was released. Why the wait until 2013? Other than refining the intelligence of Siri, Apple has been waiting for large flat panel displays to become cheap enough to be reasonably priced for the consumer. News and rumors of an Apple television set have exploded over the last week after comments made by the recent Steve Jobs to his biographer proclaimed that he had ‘cracked’ the TV, which the NYT says is a reference to using Siri AI as a replacement for the remote. This was soon followed up by reports that the creator of iTunes is leading the project. 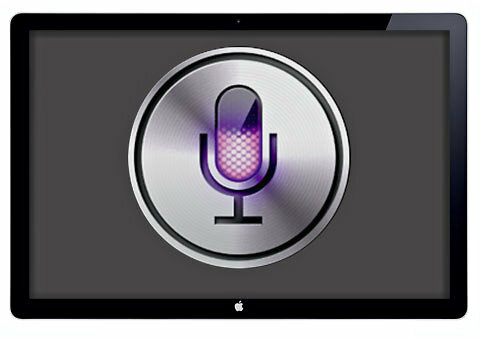 Siri is currently only available to iPhone 4S users, but is widely expected to make appearances across the Apple lineup down the road, including in Mac OS X and the iPad. I look forward to using the tip from earlier to turn off all my alarms on a Saturday morning by barking orders at an Apple TV from my couch. Apple makes the coolest stuff in the world, what other company inspires this much excitement over technology? This is pretty interesting. I dont see it in my house unless there is another way to control it. I mean, talking to Siri all the time on the TV? Sometimes, I dont want to say anything when Im just laying there. Sometimes you are so tired, you dont want to talk. What if someone is sleeping on the couch next to you? You wake them up because you are talking to your TV? Sounds like a good idea, but in reality, I wouldnt use it unless it was in the middle of the day. Which I dont really watch TV in the middle of the day anyway. Siri works fine when you’re alone, but imagine a birthday party. First problem: Everybody starts talking to your TV. Second problem: Siri doesn’t understand you, because there’s so much noise in the room. Even if the TV has Siri build in, you’ll still need a remote control which has a button you’ll have to press in order to have Siri start listening. Just like you’ll have to bouble tap the home button on the iPhone 4S. Otherwise your TV will keep on switching channels, starts to play a slideshow of your photo’s and starts playing music, because everyone gives your TV another command. Any voice uses different frequencies to another. Why Siri later shouldn’t use this? Any voice has his own “finger print”. Apple didn’t own the name iPhone either, but they still used it. A small obstacle like that wouldn’t stop them. Apple TV would be great if you could buy just the channels you want, rather than get charged for 263 cooking, gardening, cosmetic channels that you never watch. Just like iTunes.